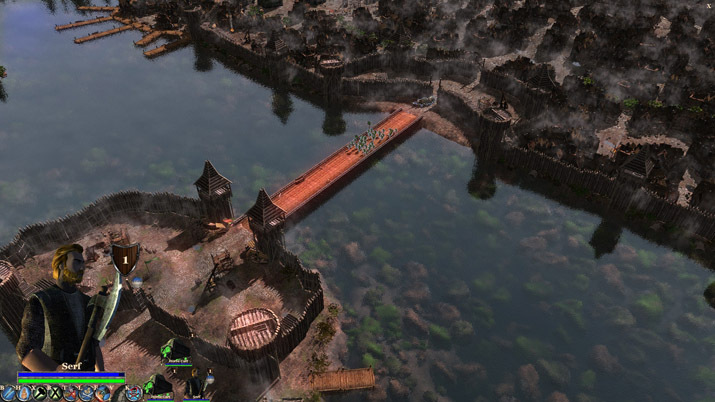 In Medieval Kingdom Wars, you’re able to focus more on the strategy of combat rather than the building of a great fortress. Medieval Kingdom Wars (MKW) plays like a live-action RTS on a map of western Europe, with campaigns available to play for each major civilization during the 100 Years War between England and France. The refreshing view of an almost dead genre allows players to chat online with other players while still playing a single player campaign. Additionally, there are more modes or play outside of the single player campaign. Currently, both the single player and multiplayer RTS skirmish modes are working. However, the single player grand strategy is not finished, so continue to watch for updates throughout the next few months as they get it up and running. Similar to other RTS titles like, Age of Empires, you are able to micromanage your resource collection and usage while using squads of units instead of individual units. With prebuilt cities and predetermined wall placement, a lot of the micromanaging that made Age of Empires both fun and tedious for players is removed. Instead, you’re able to focus more on the strategy of combat rather than the building of a great fortress. MKW does however feel and look very similar to Medieval Total War 2, and unit management is very similar. Additionally, combat gameplay is similar, except it’s currently on a smaller grand scale. This may be expanded as more content is released in early access. MKW is also less realistic as it allows you to train and generate units just paces away from the battlefield. This introduces resource management as a very real element to the battlefields of the era and to the gameplay. The tutorial left a lot of the gameplay unexplained, but the controls were great. The tutorial is helpful in learning how the combat works, but leaves many things unexplained and doesn’t show you how to play the campaign. This means that in your first campaign, you have a lot of trial and error. There is also very little information as to how you acquire higher level units. While you would assume that gameplay requires the acquisition of resources, upgrading of existing buildings, and even researching of technologies, there is no instruction or tutorial episodes that teach you. The controls for MKW are great, camera angles are smooth, and there is no need to be able to zoom in any closer than MKW allows. Unit commands are typical to the genre, as they would move to an area instead of attack a unit that was clicked on in the same area. Unit controls include some micromanaging without making you feel overwhelmed. 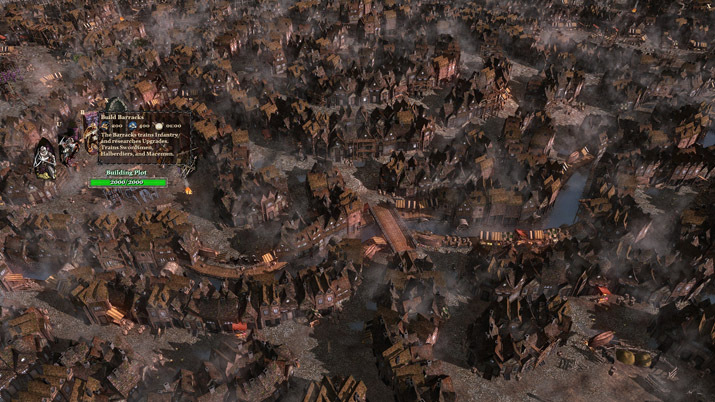 However, with a title that seems so excellently focused on the buildings, units still stand in the open to maintain formation rather than seeking cover as units in other RTS titles would, such as the RTS Company of Heroes. Also: As you open the screen, you’ll get a list of languages to choose from. Note, these are a list of languages that you can play the game in. This list is not a list of countries you can pick from as you start the campaigns. Choose wisely so you don’t make the same mistake as me. Recent major updates and future plans for Medieval Kingdom Wars. MKW has had a lot of recent major updates. Reverie World Studios has put a lot of work into chatting with players on the forums and ingame. They have included many player suggestions and polished current content. They’ve been concentrating on fixing bugs, adding quality of life features, and adjusting balancing. There’s been over 30 major updates since its release on June 9th on Steam. Their next announced step is to focus on MKW’s diplomatic features, which they hope to complete in early November. So far, they’ve been great at updating MKW weekly and have committed to keep the same update schedule. They’ve also promised to keep reading all the comments and suggestions on the forums and incorporate them into future updates and bug fixes. So if you enjoy the RTS genre and an element of MKW doesn’t float your boat, consider leaving a review or comment in the forums. Your issue may get fixed or addressed in future updates. The developers, Reverie World Studios, know what they’re doing with early access. And this isn’t Reverie World Studio’s first time at early access, either. While Medieval Kingdom Wars is their fourth major release, it’s their second early access title. Currently, they plan to have Medieval Kingdom Wars remain in early access for about one year, fully releasing in mid 2018. This gives them plenty of time to balance gameplay, add new player suggested features, and fix bugs resulting from the new features. It also gives them time to enhance the gameplay and expand campaigns, maps, and town levels.